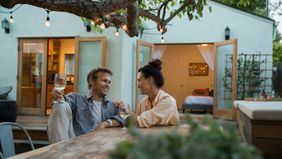 Here’s the thing about money: How you feel about it is entirely personal, so when you’re embarking on the most personal of adventures — starting a romantic life with someone — it's sure to come up for discussion. And why not? Money is at the root of so many decisions you’ll make in your life, so it makes sense to learn about your significant other’s relationship with it, too. It might feel awkward at first, but money conversations can actually help bring you closer — and help you avoid problems later on. After all, 41 percent of Americans say financial stress has an impact on their romantic relationships, according to our 2018 Planning & Progress study. Opening up about your financial history, attitudes and aspirations can reveal a lot, and working through all that together can really strengthen a relationship for the long-term. 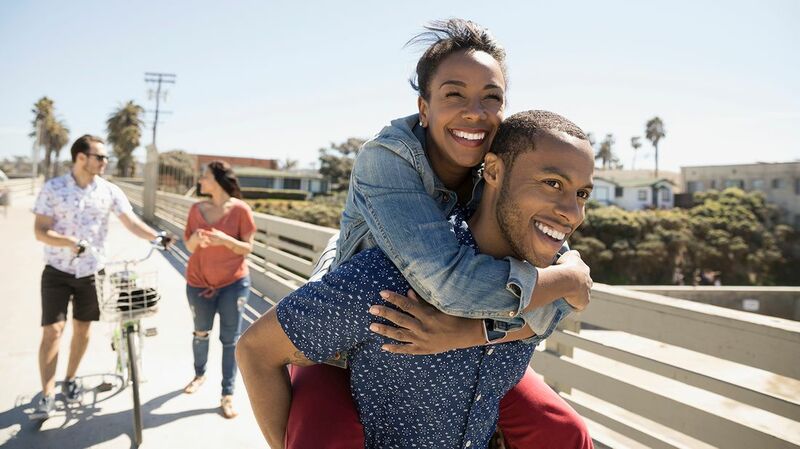 So whether you’re just dating or have been happily married to your best friend for years, here are five essential questions to help start the money talk with your partner. Do you want to spend a month trekking across Asia? Buy a home in your favorite neighborhood downtown? Become a parent soon? Be your own boss? Retire early? These questions all relate to more than just finances, of course, but money is at their essence. Living out your dreams and goals is possible, but it’ll take some planning — and the sooner you start, the better. Take that whirlwind trip: When do you want to go, and how much can you start setting aside for it together, right now? Or if you’re deciding whether to have kids, do you picture both of you working, or would one of you commit to child care full- or part-time? See what we mean? It’s a lot to unpack, for your partner and yourself. But if you’re together for the long haul, your solo dreams will become shared dreams, so it’s important to get on the same page about how you’ll achieve them. Plus, once you’ve got your goals out in the open, you can talk to your advisor about accounting for all of them in a financial plan, so you don’t have to sacrifice one for the other. HOW DID YOUR PARENTS TREAT MONEY? Maybe your parents were open and honest about the family’s finances, or maybe they didn’t mention money at all. How you and your partner grew up talking about money (or not) has a huge impact on how you feel about it now. For instance, if you grew up with parents who bought you a piggy bank and encouraged you to save early on, then stashing money away may already be second nature. But if you watched your parents quietly struggling over the bills without understanding why, you may automatically associate money with stress. Plus, whatever money habits your parents had, you may have adopted yourself — or it might have driven you to do the opposite. You and your partner should think back to what money meant to you as kids. Talk about your parents’ attitudes, whether you grew up thinking money was a blessing or a burden, and how you handle the financial lessons you learned as a kid in adulthood. Let’s be clear: This question isn’t about judging you or your partner by a balance. Sure, it’s probably not the first topic you want to chat about (“I’m a Sagittarius, I like long walks on the beach, and I owe $5,000 on my credit card”), but you can’t — and shouldn’t — avoid the discussion forever. Let’s be clear: This question isn’t about judging you or your partner by a balance. But if debt comes as a surprise, it can take an emotional toll on a relationship. Here’s the good news: It doesn’t have to. Knowing how much you’re dealing with means you can come up with a plan to tackle it as a couple. When you’re in a comfortable setting, ask: How much debt do you have, and what kind is it? How are you paying it down? Does it stress you out, or does it feel manageable? Knowing the answers can help you figure out how to pay it down strategically while also making progress on your other financial goals. HOW MUCH IS ‘A LOT OF MONEY’ TO YOU? For some people, dropping a cool grand at a shoe store could be a totally reasonable amount to spend. For others, it might result in passing out from shock. Choose a random item, whether it’s new shoes, a car or a concert ticket. Ask your partner: What’s your limit? How much are you willing to pay for these types of things? What’s considered an appropriate amount to pay is personal, so don’t be surprised if you come up with very different answers. You can do a similar exercise with salary. What do you consider making “good money”? How much would you personally need to make to feel comfortable and secure? The answers will reveal more than just numbers. They can help you understand where the other person is starting from when it comes to money decisions and help you both align your values around money. These three little numbers are some of the most impactful ones you’ll exchange (next to, of course, the digits you handed over the night you met). 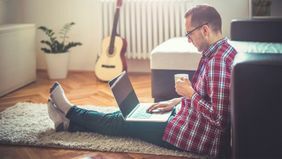 Because your credit scores are an indicator to lenders of your ability to responsibly borrow money, they'll have a big impact on your financial future. For instance, if you’re planning on buying a home together — or even just renting a place — your credit health will matter. Need more motivation to talk credit scores? 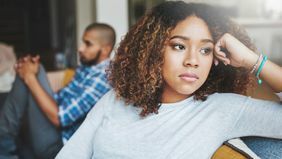 One FINRA study found that couples with a big gap in their scores are also more likely to break up within two to four years. But credit scores don’t have to be a relationship deal breaker. If you’re pleasantly surprised by an excellent score, great! If you’re worried by a less-than-stellar one, use that as a starting point for change as you figure out what behaviors and choices led to that number, and how you can start fixing them. As you work through these questions, remember that it's all about setting the tone for a happy future. With a little time and teamwork, the easier it’ll get to talk about money — and the sooner you’ll be able to build a solid financial foundation together.